Happy MLK Day. Dream On! I think I got it right last year so I’m reposting it this year along with the introduction I wrote at the time. Happy birthday, Dr. King! As I sat down to write this morning’s screed with Dr. King’s birthday on my mind, I realized that it’s been 50 years since that horrible year of 1968. I was 13 at the time and if you’re younger than about 55 today you probably have no memories of the almost non-stop bad news. It’s hard to believe but things seemed even more screwed up and polarized than they do today. The day Dr. King was shot is one of my indelible memories and the killing of Bobby Kennedy two months later snuffed out a small glimmer of hope that Dr. King’s legacy might come to fruition soon. It took another 40 years for that although there are valid arguments that we as a country are still waiting in many ways. I’ve posted what follows each year for the last few on the days we celebrated the birthday of Dr. Martin Luther King. This was written in January of 2009 as we prepared to put President Obama into office. Last year I expressed my disappointment that we hadn’t come further over the last few years, given the election of our first African-American President. Like many, I’m doing my best to remain hopeful for the immediate future, despite some troubling incidents. But we keep dreaming, right? Last week was actually Dr. King‘s birthday but since we’re celebrating it today I thought I’d add my two cents. I’m old enough to remember him and while he didn’t light the fire of the civil rights movement in the US (I’d say Rosa Parks is that hero), he certainly brought the fire to life and tended it well until his assassination (and I remember that as well – how horrible a day it was!). This was the post I wrote in 2009 on Dr. King’s birthday, which we celebrate today. It’s interesting how over the last 7 years much of what I was feeling at the time about the possibilities that were presenting themselves have yet to become a reality. In some ways, we’ve gone backward despite some of the progress. I’m not sure race relations in this country are at the place I recall back in the 60’s but it’s good to have a day dedicated to the man that moved us all forward so we can reflect on the topic. 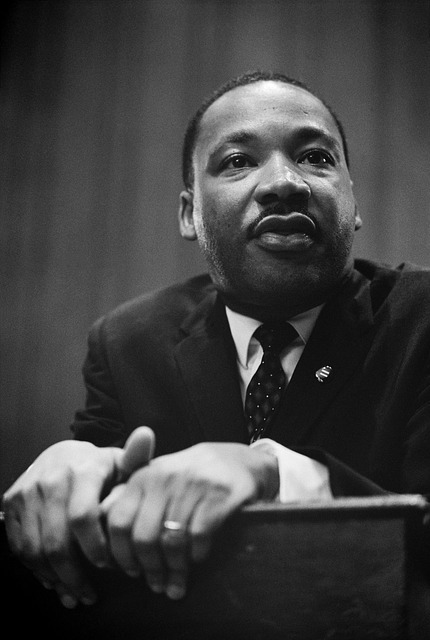 The business point in the post hasn’t changed – some things, such as Dr. King’s message – are eternal. I’m sure you’ve seen deleted tweets or Facebook photos that have come back to haunt people – facts rearing their ugly heads. Maybe you’ve seen a piece of videotape that directly contradicts some politician’s assertion of a statement they made (or didn’t make). Maybe you’ve also taken the time to check out the “facts” in a news piece, sales presentation, or a co-worker’s excuse for sub-par performance. I wish more of us did and I wish the noise level wasn’t so high as to drown out the credible sources of information. They’re out there – it’s on us to find them. President Reagan tried to quote Adams in 1988 and said “facts are stupid things” – he may have been more right than he knew in that it seems to have set a tone for much of the world that’s come after. Nevertheless, I think the single most important thing we as businesspeople can do (and as good citizens, frankly) is to be relentless in our pursuit of them. Be as stubborn as they are!